2015 was a remarkable year for Information Technology. Join us as we place our bets for 2016, and debate our experts! IT Predictions are easy to make. The industry is rife with change, and much of the change is marked by high profile technologies with a lot of press coverage. It is the rate of change that makes it difficult for these predictions to be fulfilled. How quickly will the world adopt new technologies and practices? Which of these will continue winning, and which will fall behind? Turbonomic made 5 IT Predictions for 2015, and most of them have come true (or are in the process of coming true). Join us for a new set of predictions looking into 2016, featuring Turbonomic’s experts Yechiam “Y.Y.” Yemini, Yuri Rabover, and Eric Wright! For a full look at last year’s predictions, take a look here. 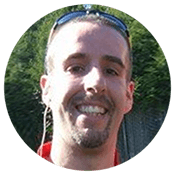 Before joining Turbonomic, Eric Wright served as a systems architect at Raymond James in Toronto. As a result of his work, Eric was named a VMware vExpert and Cisco Champion with a background in virtualization, OpenStack, business continuity, PowerShell scripting and systems automation. He’s worked in many industries, including financial services, health services and engineering firms. As the author behind DiscoPosse.com, a technology and virtualization blog, Eric is also a regular contributor to community-driven technology groups such as the vBrownBag community and leading the VMUG organization in Toronto, Canada. He is a Pluralsight Author, the leading provider of online training for tech and creative professionals. Eric’s latest course is “Introduction to OpenStack” you can check it out at pluralsight.com. 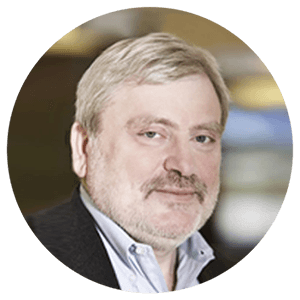 Prior to joining Turbonomic, Yuri managed the Advanced Solution group in the EMC CTO Office and worked very closely with EMC’s Architecture and Applied Research teams in prototyping and innovating across a broad range of technology stacks and solutions. He joined EMC with the acquisition of SMARTS. Yuri had a long and diverse career with SMARTS: he was a member of the founding team, managed engineering and product development, and was responsible for technology partnership development, managing relationships with strategic accounts. Yuri worked in several other high-tech startups managing engineering and products in storage and system management, IP telephony and collaboration. Earlier in his career, Yuri managed a research lab at the Russian Academy of Sciences Informatics Institute, carrying out applied research in operating systems, resource management, and user interfaces. Yuri holds a B.S. in electrical engineering and M.S. in computer science from Moscow Technical University of Electronic Engineering and a Ph.D. in computer science from Russian Academy of Sciences Informatics Institute. Yechiam Yemini (YY) is a Professor of computer science at Columbia University. His current research interests include computational biology and biological networks. He is currently teaching the Computational Genomics class W4761. Professor Yemini has also been a co-founder of Comverse Technology (1983), System Management Arts (SMARTS) (1993), acquired by EMC in 2005, and Arootz (2006). 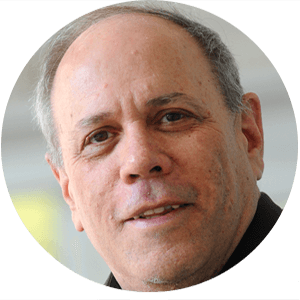 He has served as a director and advisory board member of several high-tech companies and as a member of several government technology commissions and working groups. His spare time is devoted to eclectic activities ranging from gourmet cooking to sand sculpturing.